TAG ALL THE BRIDES YOU KNOW! 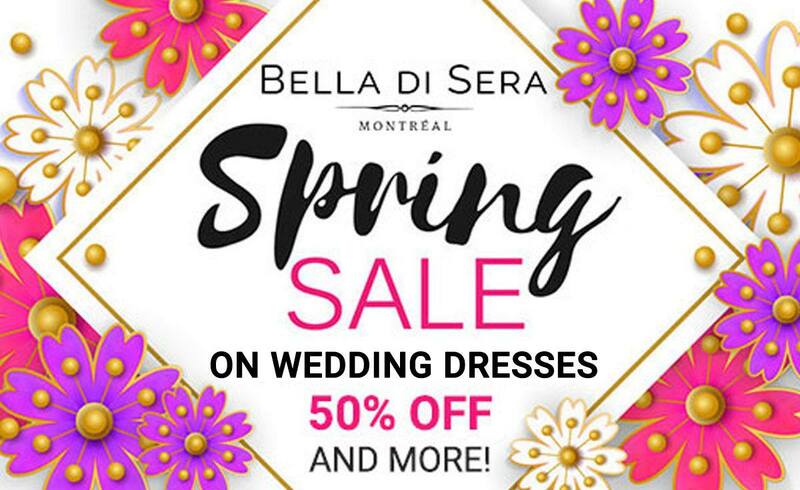 Spring fever has come over Bella di Sera Montreal and we’re excited to announce our 50% OFF AND MORE VIP WEDDING DRESS SALE! By Appointment Only @ Our Showroom! We’ve received in more gowns from our 2019 collection and are celebrating with you For 2 Weekends Only! Take advantage of amazing prices with 50% off and more on all stock and order gowns. There will be racks overflowing with gowns priced from $799.00 and up! @ our showroom@6559 Blvd. St. Laurent, Montreal. Remember Bella Brides, BY APPOINTMENT ONLY!